Egg & Dart Pendant Light. Foyer light. Entryway light. The Egg & Dart Pendant Light was designed by S. Shah Gilani, ASFD. Egg and Dart is a classical decorative molding detail. It was adopted into Roman architecture and became a prevalent motif of Neoclassicism into the modern era. Egg and Dart is typically a repeating ovoid shape – the “egg” – alternating with a pointed shape – the “dart.” The symbolism is thought to juxtapose the ideas of life with death or offerings with sacrifice. According to another interpretation, the egg symbolizes the feminine force in nature and the dart the masculine. This ancient pagan symbolism has been widely elaborated upon in classical architecture and is still popular today. The oldest example of Egg and Dart enrichment of the ovolo molding of an Ionic capital is found at the Erechtheion – an ancient Greek temple on the north side of the Acropolis of Athens. The Romans took this motif from the Greeks and used it widely on their capitals and friezes. It has also been common in neoclassical architecture. 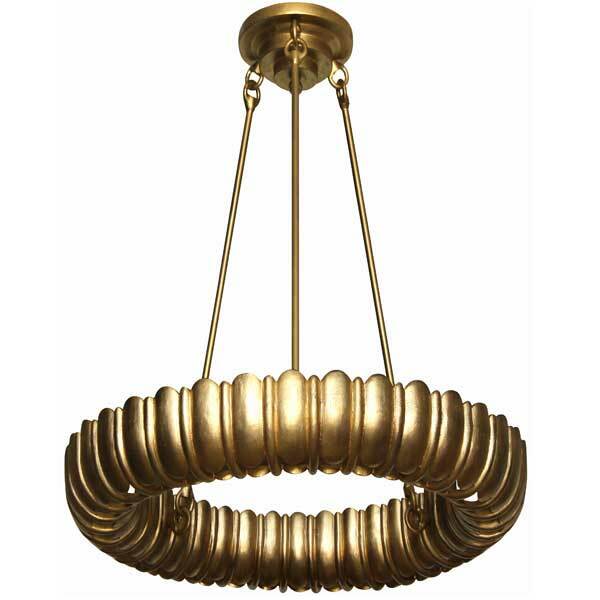 The designer of the Egg & Dart Pendant Light used a stylized version of this classical motif. Handcrafted in metal, this unique luminaire is available in a variety of finishes. It makes an exceptional light for the foyer or the library.